[[File:Coupe-devils-bonanza-2018-temp1.jpg|thumb|500px|The 10th annual Coupe Devils Rod & Kustom Bonanza was held June 15-17, [] at [[Bruvollen]] in [[Blaker]], [[Norway]].]] [[File:Coupe-devils-bonanza-2018-3.jpg|500px|thumb|Photo by [[Sondre Kvipt]] - [[Kustomrama]].]] [[File:Coupe-devils-bonanza-2018-4.jpg|500px|thumb|Photo by [[Sondre Kvipt]] - [[Kustomrama]].]] [[File:Coupe-devils-bonanza-2018-5.jpg|500px|thumb|[[Ole Kristian Espeland's 1935 Ford]] 5-Window coupe. Ole is a founding member of the [[Coupe Devils]] car club. Photo by [[Sondre Kvipt]] - [[Kustomrama]].]] [[File:Coupe-devils-bonanza-2018-27.jpg|500px|thumb|[[Tobbe Husin's 1957 Ford]] entering the show. Tobbe's Ford was originally restyled by [[Bert Gustavsson]] back in the [[1980s]]. Photo by [[Sondre Kvipt]] - [[Kustomrama]].]] [[File:Coupe-devils-bonanza-2018-6.jpg|500px|thumb|Photo by [[Sondre Kvipt]] - [[Kustomrama]].]] [[File:Coupe-devils-bonanza-2018-7.jpg|500px|thumb|Photo by [[Sondre Kvipt]] - [[Kustomrama]].]] [[File:Coupe-devils-bonanza-2018-9.jpg|500px|thumb|[[The Ayala Wild Bird]] has imigrated to [[Norway]], and it looks right at home in the woods at Blaker. 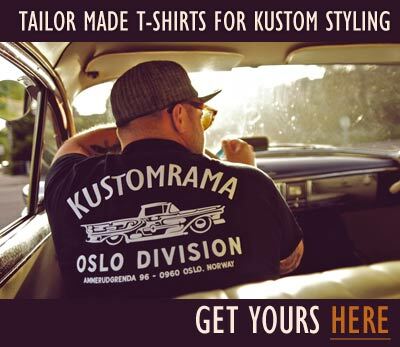 A great addition to the Norwegian scene Photo by [[Sondre Kvipt]] - [[Kustomrama]].]] [[File:Coupe-devils-bonanza-2018-10.jpg|500px|thumb|Photo by [[Sondre Kvipt]] - [[Kustomrama]].]] [[File:Coupe-devils-bonanza-2018-11.jpg|500px|thumb|Photo by [[Sondre Kvipt]] - [[Kustomrama]].]] [[File:Coupe-devils-bonanza-2018-12.jpg|500px|thumb|Photo by [[Sondre Kvipt]] - [[Kustomrama]].]] [[File:Coupe-devils-bonanza-2018-13.jpg|500px|thumb|Photo by [[Sondre Kvipt]] - [[Kustomrama]].]] [[File:Coupe-devils-bonanza-2018-14.jpg|500px|thumb|Photo by [[Sondre Kvipt]] - [[Kustomrama]].]] [[File:Coupe-devils-bonanza-2018-15.jpg|500px|thumb|Photo by [[Sondre Kvipt]] - [[Kustomrama]].]] [[File:Coupe-devils-bonanza-2018-16.jpg|500px|thumb|Photo by [[Sondre Kvipt]] - [[Kustomrama]].]] [[File:Coupe-devils-bonanza-2018-17.jpg|500px|thumb|Photo by [[Sondre Kvipt]] - [[Kustomrama]].]] [[File:Coupe-devils-bonanza-2018-18.jpg|500px|thumb|Photo by [[Sondre Kvipt]] - [[Kustomrama]].]] [[File:Coupe-devils-bonanza-2018-19.jpg|500px|thumb|Photo by [[Sondre Kvipt]] - [[Kustomrama]].]] [[File:Coupe-devils-bonanza-2018-20.jpg|500px|thumb|Photo by [[Sondre Kvipt]] - [[Kustomrama]].]] [[File:Coupe-devils-bonanza-2018-21.jpg|500px|thumb|Photo by [[Sondre Kvipt]] - [[Kustomrama]].]] [[File:Coupe-devils-bonanza-2018-22.jpg|500px|thumb|Photo by [[Sondre Kvipt]] - [[Kustomrama]].]] [[File:Coupe-devils-bonanza-2018-23.jpg|500px|thumb|Photo by [[Sondre Kvipt]] - [[Kustomrama]].]] [[File:Coupe-devils-bonanza-2018-24.jpg|500px|thumb|[[Otto Mattila]] won the Best Bike Award at the show. Photo by [[Sondre Kvipt]] - [[Kustomrama]].]] [[File:Coupe-devils-bonanza-2018-25.jpg|500px|thumb|Photo by [[Sondre Kvipt]] - [[Kustomrama]].]] [[File:Coupe-devils-bonanza-2018-26.jpg|500px|thumb|Photo by [[Sondre Kvipt]] - [[Kustomrama]].]] [[File:Coupe-devils-bonanza-2018-28.jpg|500px|thumb|Photo by [[Sondre Kvipt]] - [[Kustomrama]].]] [[File:Coupe-devils-bonanza-2018-29.jpg|500px|thumb|Photo by [[Sondre Kvipt]] - [[Kustomrama]].]] [[File:Coupe-devils-bonanza-2018-30.jpg|500px|thumb|Photo by [[Sondre Kvipt]] - [[Kustomrama]].]] [[File:Coupe-devils-bonanza-2018-31.jpg|500px|thumb|Photo by [[Sondre Kvipt]] - [[Kustomrama]].]] [[File:Coupe-devils-bonanza-2018-32.jpg|500px|thumb|Photo by [[Sondre Kvipt]] - [[Kustomrama]].]] [[File:Coupe-devils-bonanza-2018-33.jpg|500px|thumb|Photo by [[Sondre Kvipt]] - [[Kustomrama]].]] [[File:Coupe-devils-bonanza-2018-34.jpg|500px|thumb|[[Otto Mattila]]'s Triumph chopper took home the Best Bike Award at the show. Photo by [[Sondre Kvipt]] - [[Kustomrama]].]] [[File:Coupe-devils-bonanza-2018-35.jpg|500px|thumb|Photo by [[Sondre Kvipt]] - [[Kustomrama]].]] [[File:Coupe-devils-bonanza-2018-36.jpg|500px|thumb|Photo by [[Sondre Kvipt]] - [[Kustomrama]].]] [[File:Coupe-devils-bonanza-2018-37.jpg|500px|thumb|Photo by [[Sondre Kvipt]] - [[Kustomrama]].]] [[File:Coupe-devils-bonanza-2018-38.jpg|500px|thumb|Photo by [[Sondre Kvipt]] - [[Kustomrama]].]] [[File:Coupe-devils-bonanza-2018-39.jpg|500px|thumb|Photo by [[Sondre Kvipt]] - [[Kustomrama]].]] [[File:Coupe-devils-bonanza-2018-40.jpg|500px|thumb|Photo by [[Sondre Kvipt]] - [[Kustomrama]].]] [[File:Coupe-devils-bonanza-2018-41.jpg|500px|thumb|Photo by [[Sondre Kvipt]] - [[Kustomrama]].]] [[File:Coupe-devils-bonanza-2018-42.jpg|500px|thumb|Photo by [[Sondre Kvipt]] - [[Kustomrama]].]] [[File:Coupe-devils-bonanza-2018-43.jpg|500px|thumb|Photo by [[Sondre Kvipt]] - [[Kustomrama]].]] [[File:Coupe-devils-bonanza-2018-44.jpg|500px|thumb|Photo by [[Sondre Kvipt]] - [[Kustomrama]].]] [[File:Coupe-devils-bonanza-2018-45.jpg|500px|thumb|Photo by [[Sondre Kvipt]] - [[Kustomrama]].]] [[File:Coupe-devils-bonanza-2018-46.jpg|500px|thumb|Photo by [[Sondre Kvipt]] - [[Kustomrama]].]] [[File:Coupe-devils-bonanza-2018-47.jpg|500px|thumb|Photo by [[Sondre Kvipt]] - [[Kustomrama]].]] [[File:Coupe-devils-bonanza-2018-48.jpg|500px|thumb|Photo by [[Sondre Kvipt]] - [[Kustomrama]].]] [[File:Coupe-devils-bonanza-2018-49.jpg|500px|thumb|Photo by [[Sondre Kvipt]] - [[Kustomrama]].]] [[File:Coupe-devils-bonanza-2018-50.jpg|500px|thumb|Photo by [[Sondre Kvipt]] - [[Kustomrama]].]] 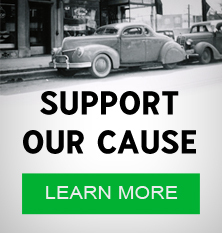 [[File:Bjorn-inge-jansson-wild-bird.jpg|500px|thumb|[[Gil Ayala's 1955 Ford]] Thunderbird. Owned by [[Bjørn Inge Jansson]] of [[Oslo]], [[Norway]], the old [[Ayala Brothers]] custom won the Best Custom Award at the show. Photo by [[Sondre Kvipt]] - [[Kustomrama]].]] [[File:Bjorn-inge-jansson-wild-bird2.jpg|500px|thumb|[[Bjørn Inge Jansson]] receiving the Best Custom Award for his [[Ayala Wild Bird]]. Photo by [[Sondre Kvipt]] - [[Kustomrama]].]] [[File:Bjorn-inge-jansson-wild-bird3.jpg|500px|thumb|A close up of the the Best Custom Award. The awards at the show were custom made by [[Coupe Devils]] member [[Kjetil Kvipt]]. Photo by [[Sondre Kvipt]] - [[Kustomrama]].]] [[File:Jussi-luntamo-1932-ford.jpg|500px|thumb|[[Jussi Luntamo]] receiving the Best Hot Rod Award for his [[Jussi Luntamo's 1932 Ford|1932 Ford]] Roadster. Photo by [[Sondre Kvipt]] - [[Kustomrama]].]] [[File:Jussi-luntamo-1932-ford2.jpg|500px|thumb|[[Jussi Luntamo's 1932 Ford]] Roadster next to [[Petri Häkkilä's 1928 Ford]] Model A Roadster Pick Up. Two hot rods from the [[Pistons of Finland]] [[car club]] that made the long haul from [[Finland]] to [[Norway]] for the weekend. Photo by [[Sondre Kvipt]] - [[Kustomrama]].]] [[File:Jussi-luntamo-1932-ford3.jpg|500px|thumb|A close up of the the Best Hot Rod Award. Photo by [[Sondre Kvipt]] - [[Kustomrama]].]] [[File:Coupe-devils-bonanza-2018-51.jpg|500px|thumb|Photo by [[Sondre Kvipt]] - [[Kustomrama]].]] [[File:Coupe-devils-bonanza-2018-52.jpg|500px|thumb|Photo by [[Sondre Kvipt]] - [[Kustomrama]].]] 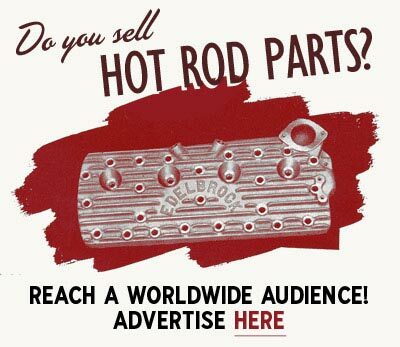 The 10th annual [[Coupe Devils Rod & Kustom Bonanza]] was held June 15-17, [] at [[Bruvollen]] in [[Blaker]], [[Norway]]. The show is held by the [[Coupe Devils]] car club of [[Norway]]. Return to Coupe Devils Rod & Kustom Bonanza 2018. 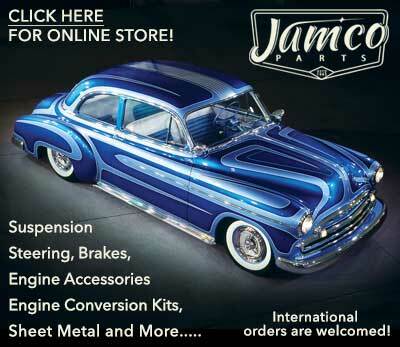 Subscribe to our newsletter and receive updates on View source for Coupe Devils Rod & Kustom Bonanza 2018 and other subjects featured on Kustomrama. If you have additional information, photos, feedback or corrections about View source for Coupe Devils Rod & Kustom Bonanza 2018, please get in touch with Kustomrama at: mail@kustomrama.com.